Partitioning space into cells with certain extreme geometrical properties is a central problem in many fields of science and technology. Here we investigate the Quantizer problem, defined as the optimisation of the moment of inertia of Voronoi cells, i.e., similarly-sized ‘sphere-like’ polyhedra that tile space are preferred. 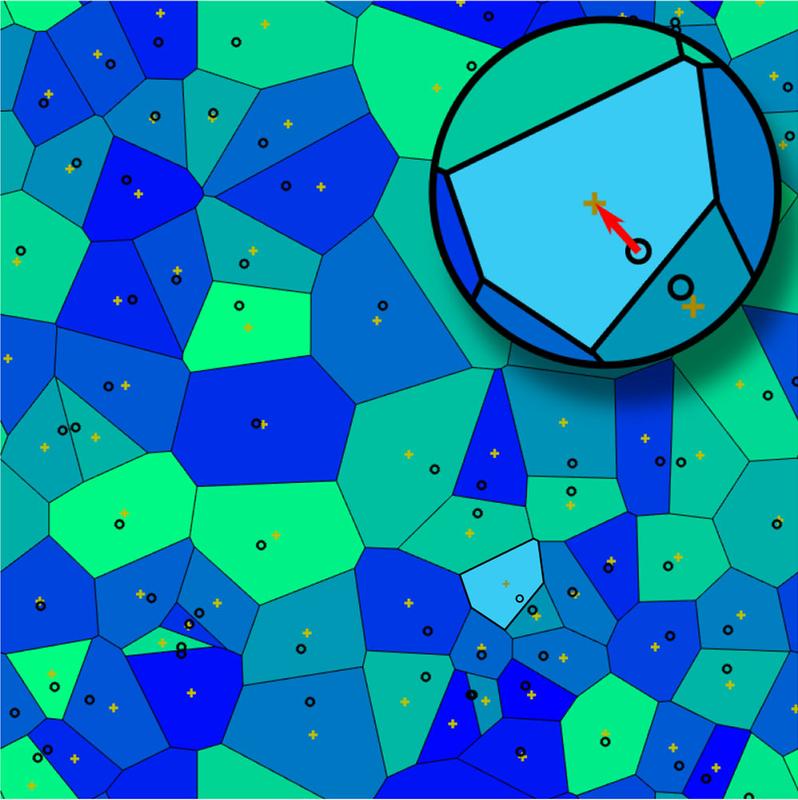 We employ Lloyd’s centroidal Voronoi diagram algorithm to solve this problem and find that it converges to disordered states associated with deep local minima. These states are universal in the sense that their structure factors are characterised by a complete independence of a wide class of initial conditions they evolved from. They moreover exhibit an anomalous suppression of long-wavelength density fluctuations and quickly become effectively hyperuniform. Our findings warrant the search for novel amorphous hyperuniform phases and cellular materials with unique physical properties.